Legends aren't born. They're forged. Dug Sealskinner is a down-on-his-luck mercenary travelling south to join up with King Zadar's army. But he keeps rescuing the wrong people. 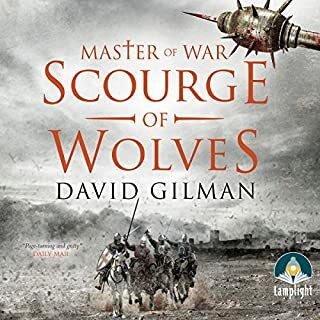 First, Spring, a child he finds scavenging on the battlefield, and then Lowa, one of Zadar's most fearsome warriors, who's vowed revenge on the king for her sister's execution. Now Dug's on the wrong side of that thousands-strong army he hoped to join ­- and worse, Zadar has bloodthirsty druid magic on his side. 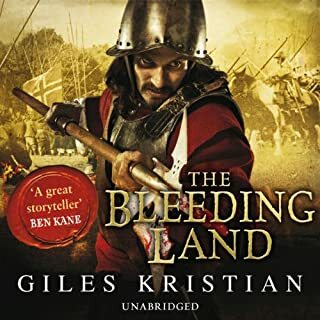 The first book in a thrilling Viking trilogy that launched the career of acclaimed historical novelist Giles Kristian - who's now confronting the tumult and devastation of the English Civil War in The Bleeding Land. 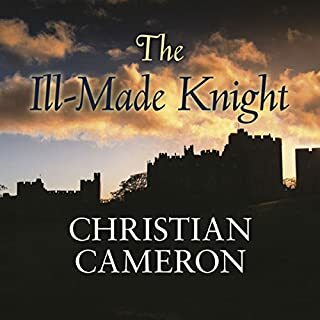 The story begins with an amnesiac lad who is adopted by an English carpenter. It is around the tenth or eleventh century when Norsemen came to trade and plunder. And they are indignant when called Danes as they are from Norway. I listen to books when undertaking mindless tasks such as ironing or weeding. I couldn’t find enough such tasks! 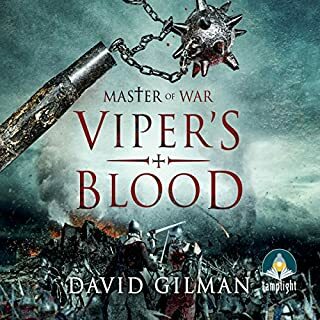 If you love action stories, of brotherhood and warfare, you will love this book. I hated to leave it and go back to my normal routine! This story had me gripped from beginning to end. 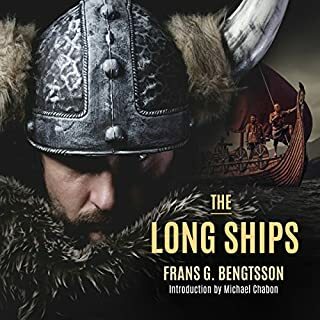 I would strongly recommend this to anyone who loves the tales of vikings. I can’t wait to listen to the next instalment. loved it. 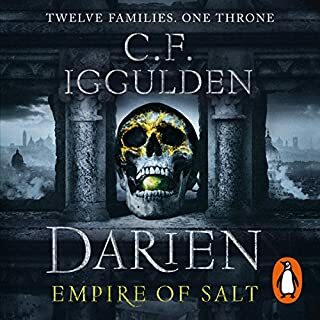 it was a good follow up to the Sigurd series. I am looking forward to the next one. A Master writer and Storyteller of Old. 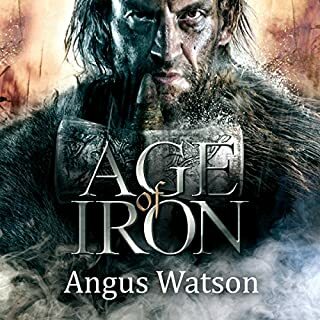 A Master Writer and a Storyteller of Old both of who draw you into Ravens adventures, keeping you coming back for more and by Odin you will. 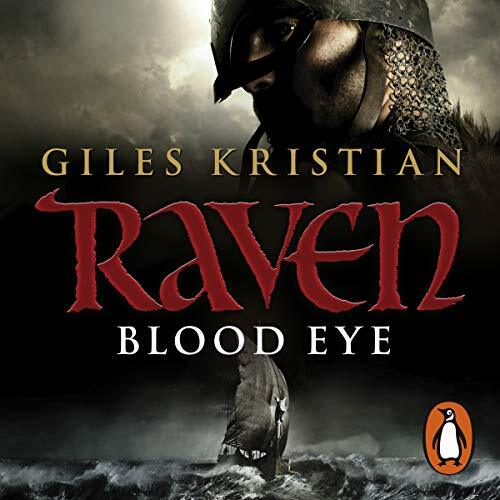 Stories I will never tire of, Raven, Jarle Sigurd and the sea wolves fast becoming a firm favourite for my whole family. I love this book. 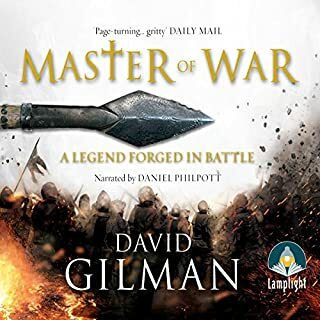 I read it first on my Kindle a couple of years ago, and thought I'd get it on audible as well. 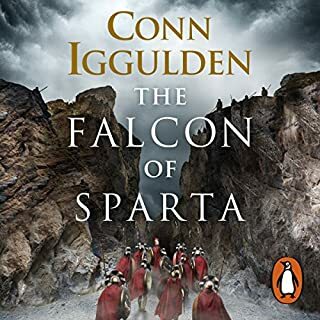 The narrator is extremely good, his enunciation clear, and he gives a good account of the widely differing characters, letting the listener feel more involved in the story, rather than just read the words off a page with no emotion. 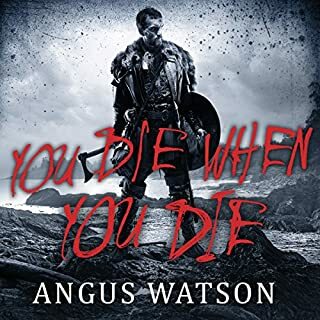 My only only bone to pick with this narrator is that he mangles many of the Norse names, like Øystein and Håkon. 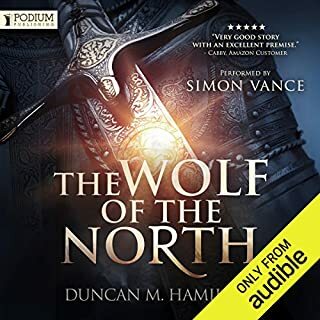 I realise that audiobook production is extremely labor intensive in many ways, but I feel he could have done a better job by 'asking around' and at least do some research on these (to many) un-pronunceable names. 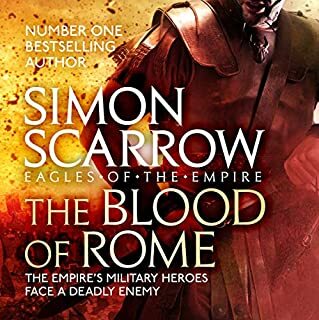 I know another author whose audiobook narrator did just that, and this is why I'm disappointed in Stevens' performance and apparent lack of research. Other than this issue, I love the story. 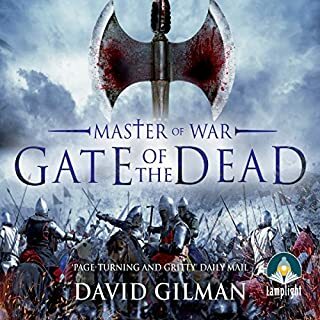 It has all my favourite parts in it, like seemingly hopeless and lost battles with blood, guts, and limbs lopped off, disemboweling and beheading. And love. just a little, not too much. Fill your boots. amazing story and the reader is very good. I didn't get confused with any of the characters. Well done reader. 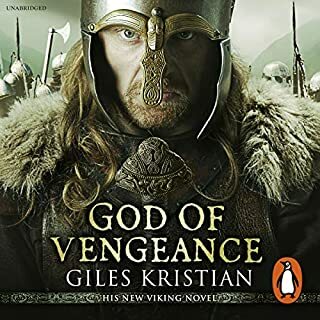 As an admirer of the Vikings and lover of the saga you eventually, inevitably feel that you have read every combination and construction of situations for heros tovfind themselves in and escape from. especially in a loved series. 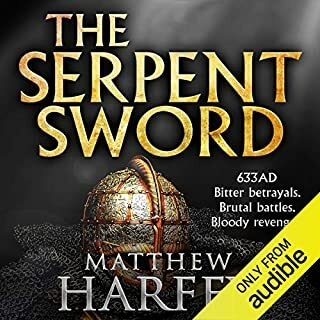 The hallmark of the truely great writers of this genre is that, when launching a new series and hero, they leave the lisener sorry the pleasure of the tale has ended eager for it's continuation. 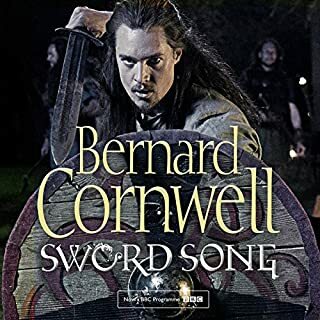 Loved every minute of it and to hear so many superb sarcastic witty insults and sooo many kennings was a real treat. 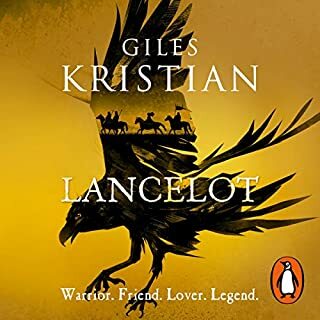 Loved it as a book and I love Giles words and Philips storytelling skills even more as an audiobook. Well that was worth the wait! What a book, what a story! 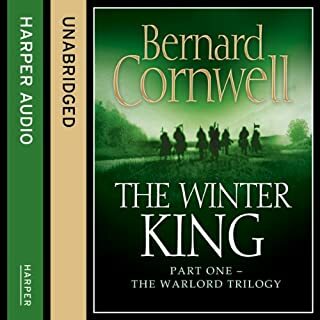 Hardback, paperback, Kindle and now Audible edition; have them all, never without access to Raven, the book that brought me back to reading. Brilliant! I loved this book. I could not get enough of it. Fast paced, exciting Raven a new hero is born.